Nowadays gaming is entwined in the lives of kids and youngsters. Parents and school teachers need to get to grips with the world of gaming in order to understand what, why and how their kids play. 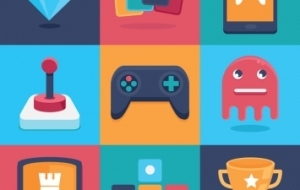 Mediawijs, supported by iMinds, asked Michel Walrave and Joris Van Ouytsel (Antwerp University) to compile a Gaming Guide for parents and teachers. The guide (in Dutch) is free for download and you can read more about this guide and other gaming research in the online Mediawijs Gaming Report (also in Dutch).